May 25, 2015 (Part I, Part II) — Part II is audio only. May 14, 2015 (Part I, Part II) — Note: Part I audio begins at the 1m:14s mark; Part II is audio only. April 27, 2015 — NOTE: The committee stood at ease from 01h:36m:38s until 04h:31m:36s. March 9, 2015 (Part I, Part II) — Part I is audio only due to technical difficulties. Examine measures to affirm 1st Amendment religious liberty protections in Texas, along with the relationship between local ordinances and state and federal law. Make recommendations to ensure that the government does not force individuals, organizations or businesses to violate their sincerely held religious beliefs. Examine the practice of using public funds and employees for the payment processing of union dues. Make recommendations on whether Texas should end this practice. Examine whether there are chief law enforcement officers within the state who deny NFA applications without any cause. Examine the application and certification process and recommend ways to eliminate no-cause denials. Examine the need to adjust Texas judicial salaries to attract, maintain, and support a qualified judiciary capable of meeting the current and future needs of Texas and its citizens. Study and recommend whether Texas should delink legislators' standard service retirement annuities from district judge salaries. Examine the effect of eliminating straight-party voting for candidates for judicial office and make recommendations to ensure candidates are given individual consideration by voters. Review current ethics laws governing public officials and employees and recommend changes necessary to inspire the public’s confidence in a transparent and ethically principled government. 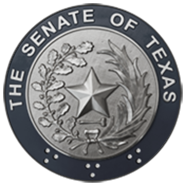 Review public officials’ reporting requirements to the Texas Ethics Commission. Examine the categorization of ethics reporting violations and make recommendations to encourage accurate reporting and timely correction to inadvertent clerical errors. The establishment of a public integrity unit under the authority of Texas Rangers.